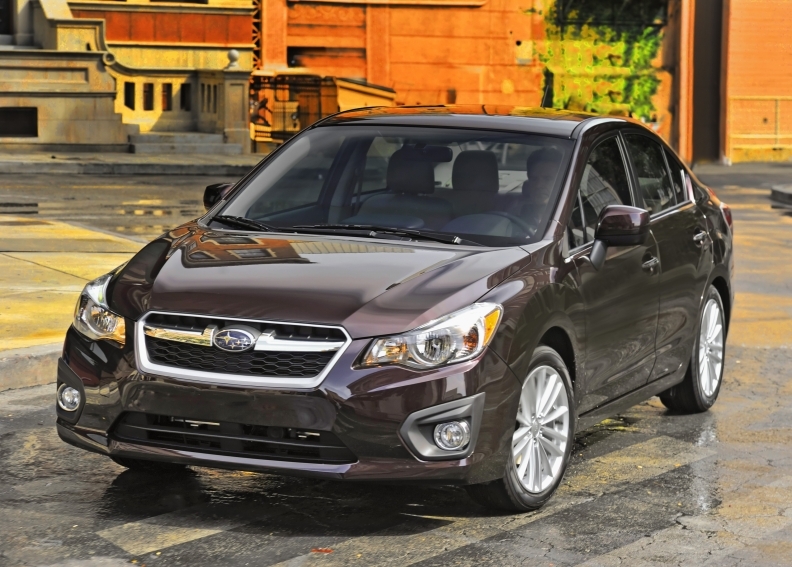 Subaru of America is recalling some Impreza compact cars for an issue with the occupancy detection system that can prevent the front passenger airbag from deploying during a crash. The recall covers 32,400 Imprezas from the 2012 model year manufactured from April 21, 2011, through Feb. 15, 2012, the National Highway Traffic Safety Administration said. It does not include the WRX or STI models. Use of an electronic device such as a cell phone plugged into the accessory power outlet by someone seated in the passenger seat can trigger the defect. If the passenger is touching a metal part of the vehicle that is electrically grounded, the occupant control unit may deactivate the detection system. This can prevent the airbag from deploying in the event of a crash. Affected owners will be notified via mail and can have the necessary repair made for free at any Subaru dealership.